Brooklyn, NY – History was made as N.W.A was inducted into the Rock and Roll Hall of Fame as a member of the Class of 2016 yesterday (April 8). Kendrick Lamar introduced his Compton, California predecessors at the official ceremony at the Barclays Center in Brooklyn, New York. Dr. Dre, Ice Cube, DJ Yella and MC Ren accepted the honor and paid tribute to group founder Eazy-E, who passed away from complications due to AIDS in 1995. Rolling Stone was on hand to detail the event. Dr. Dre used the moment to encourage the youth to follow their example. In their speeches, MC Ren and Ice Cube addressed Kiss singer Gene Simmons’ claims that Hip Hop is not Rock and Roll. In his introduction, Lamar paid respect to each member of the World’s Most Dangerous Group before explaining what personal impact N.W.A had on urban communities through their commercial success. The N.W.A biopic, Straight Outta Compton, was released last year and set box office records. Director F. Gary Gray became the highest-grossing Black director ever. The group’s debut album of the same name was certified triple platinum last year. To read N.W.A’s entire acceptance speech, visit Rolling Stone. Read Kendrick Lamar’s introduction speech at Rolling Stone as well. The Rock and Roll Hall of Fame announced its 2016 inductees today (December 17) and N.W.A is one of five acts in the class. Dr. Dre, Ice Cube, Eazy-E, MC Ren and DJ Yella are scheduled to be formally inducted in a ceremony April 8 at the Barclays Center in Brooklyn, New York. Ice Cube took to Twitter to respond to the news of the honor. Part of the process to determine the inductees was a vote open to the public. He also spoke with Rolling Stone about what this accomplishment means to N.W.A’s career. Ice Cube also shares what he believes Eazy-E would think of the honor. The group joins Cheap Trick, Chicago, Deep Purple and Steve Miller to form the Class of 2016. N.W.A was nominated for the Hall of Fame last year and in 2012. The group joins Public Enemy, Run-DMC, Beastie Boys and Grandmaster Flash and the Furious Five as the Rap groups honored by the Hall. 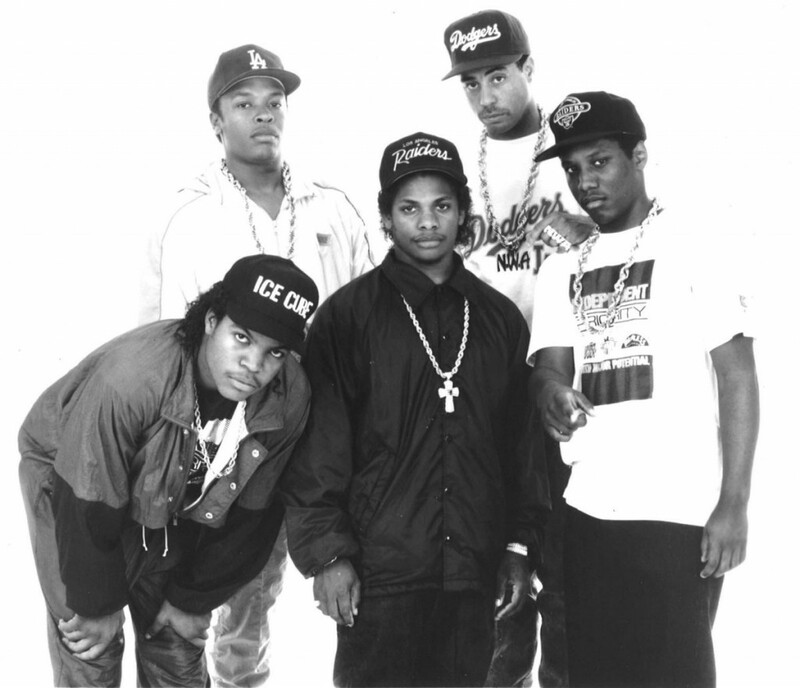 N.W.A’s rise to fame in the late 1980s and early 1990s was portrayed in the film Straight Outta Compton this summer, which is the highest-grossing music biopic ever. The group’s debut album of the same name was certified triple platinum last month.